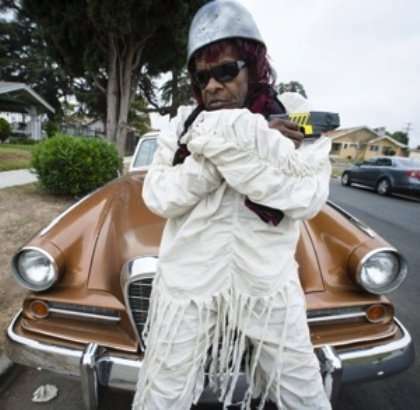 Ok, so maybe Sly Stone isn’t exactly “down by the river” – he’s currently in Los Angeles – but you get the point. Once upon a time, when Sly and The Family Stone were at the top of their game, Sly Stone lived in a 5,432 square foot mansion in Bel Air. It was decorated in a funky over-the-top black, white and red color scheme (right up my alley! ); there were Tiffany lamps in every room, and groovy shag carpeting. He even had a round water bed in the master bedroom. Sly threw elaborate parties with a variety of stars in attendance, including Janis Joplin, Jimi Hendrix, Stevie Hendrix, Miles Davis, and even Etta James. A mere four years ago, Stone lived in a Napa Valley house so big, it was often described as a “compound”; there was a vineyard out back and always multiple cars in the driveway. 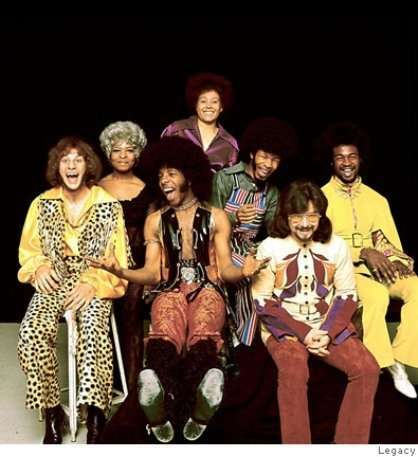 Fast forward to today, and 68-year-old Sly Stone, can be found on the streets of L.A. living inside a white camper van. …one of the greatest figures in soul-music history — is homeless, his fortune stolen by a lethal combination of excess, substance abuse and financial mismanagement. He lays his head inside a white camper van ironically stamped with the words “Pleasure Way” on the side. The van is parked on a residential street in Crenshaw, the rough Los Angeles neighborhood where “Boyz n the Hood” was set. A retired couple makes sure he eats once a day, and Stone showers at their house. The couple’s son serves as his assistant and driver. The bigger they are, the harder they fall, no? next post: Jessica Simpson Is Pregnant. Maybe. Maybe Not. 50 queries in 0.667 seconds.